GARRISON HILLS PROJECT There is 74.6 MOL acres, approved for 111 lots. Located on Hope Hill Rd, BrK, Fl. Property has a set of plans for development approved. Garrison Hills project has most of the prerequisites already met. Seller prefers to sell As Is, w/ cash closing. If seller agrees to a take down, and becomes the developer, this will diminish the profit margin for the buyer. The seller can provide a site work price as part of the closing if the buyer desires. For the seller to agree to a take down, the seller has to agree to the following terms: Amount of deposit and Would it be a single take down at closing, if not, what would the take down schedule look like at closing? See attached doc by Coastal Engineering to view est opinion price sheet for profitable land & rd development construction costs. 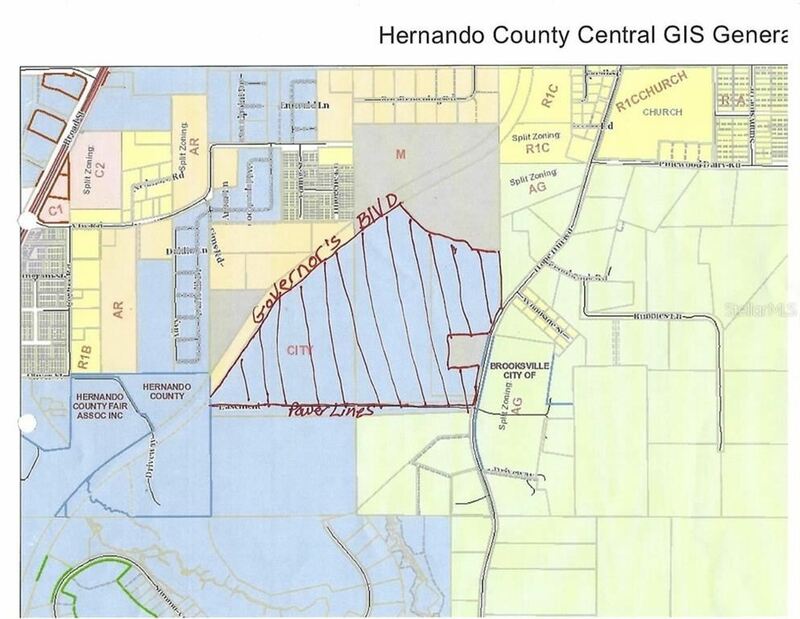 Hernando County is agreeable to 50’ lots and the City of BrK is agreeable and supports anything that stimulates growth. Should no changes be made, the City agreed to reinstate plans. If any changes are made, the plans would go back in front of the Planning Dept. Entrance was approved and designed as an emerg entrance. Need to go back to City Council for a public hearing to use as a primary entrance. There is a joint agreement with GreenPointe Com., and the City to develop 4 lanes. The city, upon approval, will place monies in an escrow acct, for 2 of the 4 lanes on Governor’s Blvd. Any questions contact Brk City planner. View agreement between GreenPointe & BrK, book 2768, pg 951. Bypass & Hope Hill Rd., due south on Hope Hill Rd., property on right. The approximate monthly Principal & Interest payment for this property would be $7,996. This payment is based on a 30-year loan at a fixed rate of 4.12 % with a down payment of $182,850. Actual lender interest rates and loan programs may vary.